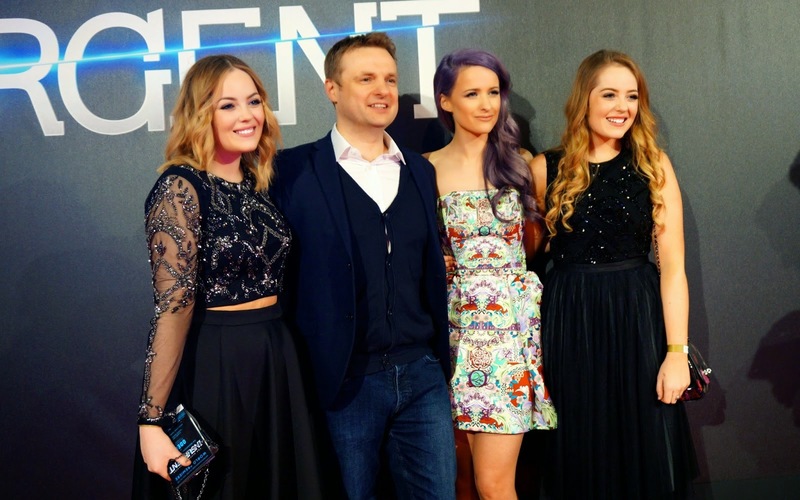 Last Wednesday, Lydia and I attended the Insurgent World Premiere, walking the red carpet and getting an early preview of such a highly anticipated film. This was our first red carpet premiere experience, and we were so happy to attend this particular film premiere as we absolutely loved the first Divergent film. We have watched it way too many times, so you can imagine how excited we were to see the second sequel film. We absolutely love Shailene Woodley in it too! If you have seen the first film and loved it, we would both definitely recommend this one, it’s filled with so much more action that we were both on the edge of our seats in the cinema! We loved it! For our outfits, Lydia and I decided to go ‘Black and Embellished’ without going too twin matchy-matchy, but also wearing something that will compliment each other’s outfits! Lydia’s outfit was a new dress that she purchased from ASOS online from a brand called ‘Needle and Thread.’ Their pieces are always so embellished and beautiful, something that would be perfect for a Premiere red carpet. The black dress was embellished on the top with a high waisted pleated netted skirt at the bottom with grey underlining. Lydia said that she felt like a princess in this dress! 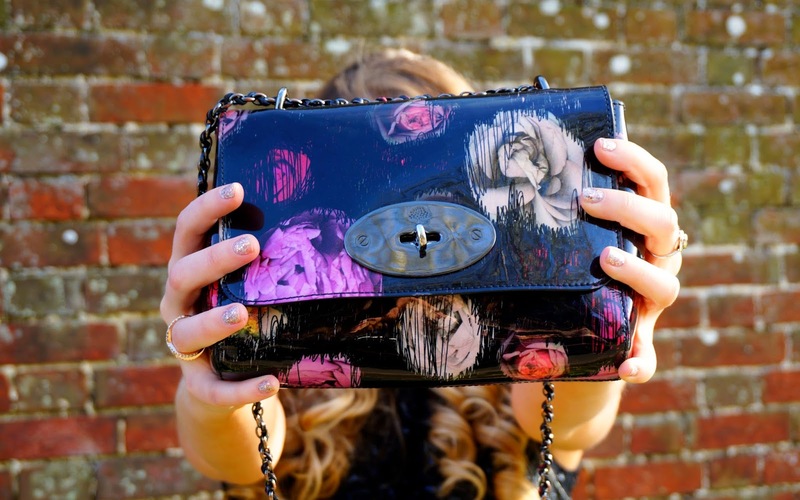 For accessories, our older sister Courtney was so lovely to lend Lydia her Mulberry 'Scribbly' bag. Lydia also wore Baublebar jewellery and painted her nails glittery with Barry M’s ‘Rose Quartz Glitter. For my outfit, I decided to wear my favourite embellished crop tops from Frock and Frill which I also purchased from ASOS online. This top is so beautiful with silver and black embellishment. I love how the sleeves are sheer, also having the silver embellishment running down the sleeves. I think I will still get so much wear out of this, even at Christmas time or for a party. I then wore a black midi skater skirt, which was also from ASOS. I love the sheer panelling on the bottom, which shows just enough leg, and goes perfectly with the sheer sleeves on the crop top. 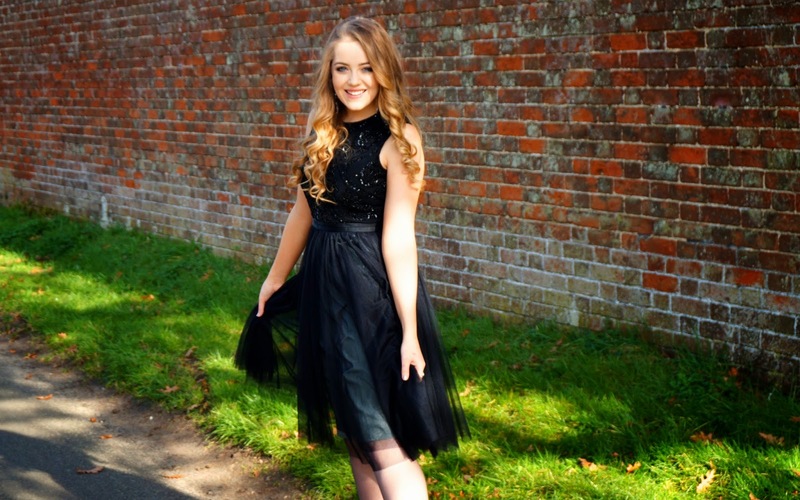 To finish my outfit, I wore black heels and accessorised with jewelled earrings from New Look! Our beautiful friend Victoria from 'In The Frow' was the fashion reporter for the evening, wearing a stunning floral dress that complimented her hair perfectly. We chatted about our outfits for the evening and also took some photos! It was definitely a Team Internet takeover! It was so lovely to also see our favourite guys, Leon and John from The Lean Machines’ and the lovely Carly Musleh! We also had a picture with our lovely manager Dom, who is so supportive of all of us! Also, a big thank-you to Lauren for looking after us for our first red carpet experience. If you would like to see us getting ready for the premiere, we have a ‘Get Ready With Us’ which is now on our YouTube channel. 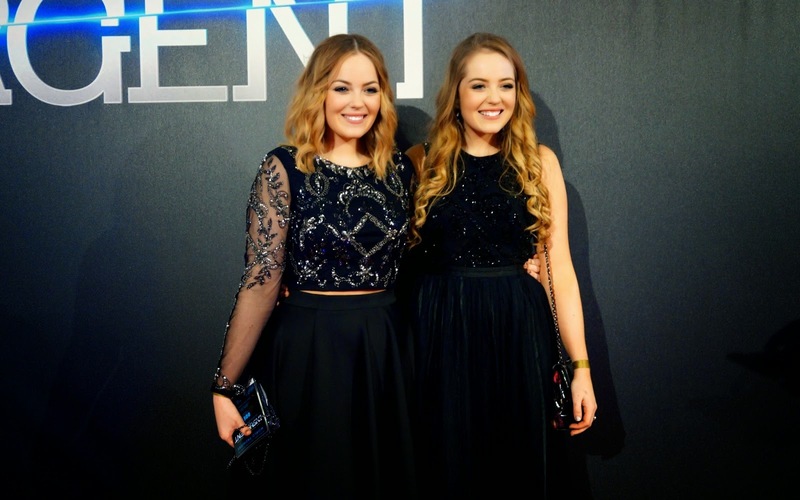 We got ready at home and then travelled down to London later that day for the premiere. We love filming ‘Get Ready With Us’ videos so do let us know if you would like to see any more on our channel! Insurgent is out in Cinema’s on Friday 19th! I think we are going to watch it again with our sister Courtney! You are both so pretty! Great video and post! Love both of your outfits, your hair and make up always looks so pretty! You both looked absolutely stunning! You girls look stunning! I watched Insurgent the other day and its absolutely amazing can't wait for Allegiant ! Trekking in Nepal is an adventurous past time for your unforgettable holidays in the lap of great Himalayas.